Earlier today in a press release Samsung announced that it extends the partnership with Arm to bring to the market the first 7nm and 5nm chips that would be capable of 3GHz+ clock speeds. Arm is a company that focuses solely on designing semiconductor chips and licensing its IP (intellectual property) to manufacturers. Developing small scale chips is extremely expensive, which is why even large corporations, such as Samsung, rely on Arm for some of their products. In context of the article, smaller component size means more transistors per square millimeter, which can be utilized in different ways, for example: more power in the same size or same power in smaller size. Smaller transistors also have better energy efficiency which leads to less heat generated which allows for higher clock speeds. Higher clock speeds mean more calculations per second i.e. higher productivity. Now back on track, the new chips will use Arm's Artisan physical IP platform and will be based on Samsung Foundry's 7LPP (7nm Low Power Plus) and 5LPE (5nm Low Power Early) manufacturing technologies. The low baseline power draw will allow Arm's the next generation Cortex processor – the A76, to reach clock speeds above 3GHz. While current top spec CPUs provide consumers with all the performance they need, Artificial Intelligence and Machine learning modules would greatly benefit from these new processors. To put things into perspective, the Snapdragon 845, currently found in most high-end Android devices, as well as Apple's A11 CPU, are both based on 10nm technology, while mid-range devices usually have chips with 14 to 28 nm architecture. The Cortex A76 will be running only 64-bit kernel-level code, the first ever Arm CPU to do that, but will have integrated support for 32-bit applications, so no compatibility issues are expected. As usual, the CPU will be accompanied by a GPU, in this case the Mali G76. 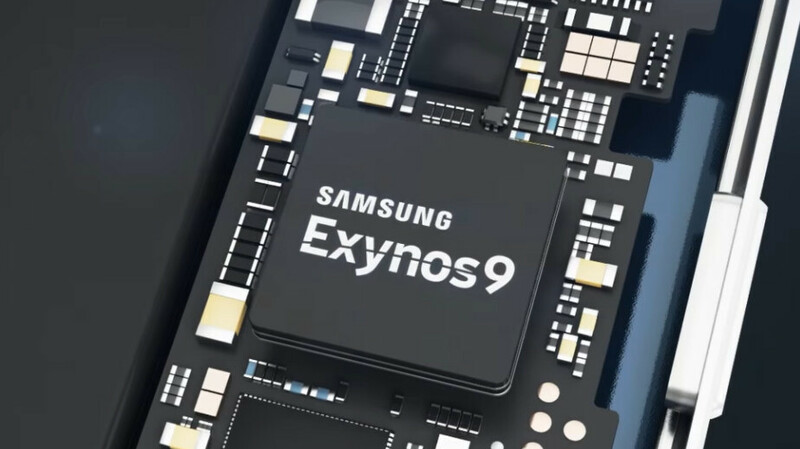 According to Samsung, the first batches of the new 7nm chips will be ready before the end of the year. Considering this timeline, the first devices to have the Cortex A76 are expected at the beginning of 2019, which coincidentally or not is when the Galaxy S10 is to be released. What will go after 5nm!?! The world of semiconductors as we know it is coming to a close. Maybe 5-10 years of finished products and then what? Innovations will continue, new ideas will drive it forward. iPA in gsmarena on this same news they included that Samsung has long term roads plan for 3nm too under Gate All Around Early technology (GAAE) too.Next year all mid-range smartphones will use 10nm LPP SD710 and SD640 aka SD680 chips to SD636 and SD660. The king of semiconductor . How so? Did Samsung develop all their own mask and wafer tech? Please elaborate in detail. How so? They are the largest player and the ones that are the furthest ahead, while also showcasing the most promising developments in the future. Samsung is massive within semi-conductors. It's a much bigger revenue than their smartphone business. Seriously, just look it up yourself, because regardless of what we will say, you're just going to deny anything that might hint at the fact that Samsung is actually great at Your name and behavior explains why. Well then, answer the question I posed above. So explain exactly how Samsung will do it. All by themselves? How many merchant shops will be involved? Who will design the mask? What types of mask are likely to be used? How will the wafers be shot? Please, help enlighten me. I profess total ignorance of the matter, so please, teach me. So apple rulz, with that logic, which company does things all by themselves without help by any other company? apple? All this advancement I'm debating to skip Note 9 and go straight to the S10+. Decisions ... Decisions. I remember my nexus 6 I got that thing over clocked to 3.1ghz, it ran hot and not to well but it was possible. So what the fk do I do with 3ghz processors. I'm not even fully utilizing the max clock in my s9+. Maybe if you are gaming. I know right. My S9 Plus seems fast enough for anything I throw at it. gaming doesn't utilize the CPU but the GPU dingo. It utilize both.. GPU = shader + tesselation + texture + resolution + effects (bloom, overbright, anti-aliasing, distance blur, etc) CPU = physics + game mechanics + AI For example try to run a game, in PC with Celeron G4900T vs i7 8700K, both use 1080Ti, and exactly same PC setup. The fps difference will be massive. Especially on CPU intensive games like GTA5, and FarCry 5. "gaming doesn't utilize the CPU but the GPU dingo" You really did just make yourself look like an idiot. I might have felt bad for him if he hadn't thrown dingo in at the end. ”Breaking 3GHz” by it self tells you nothing of the chip performance... A chip running a that speed might very well be beaten by a chip running at much slower freqenzy, it all depends on the chip design. 3Ghz needs biggest cooling system put on phone ever unless Samsung trims there touchwiz UI and make as light as pixel ad one plus.